Biomedical engineering at Ohio State began in 1971 as a center within the Department of Electrical Engineering. Professor Herman Weed pioneered the center and developed a graduate program to address the applications of engineering to health care and agriculture. The center is also meant to address the basic science approach in physiology, engineering and physics. Current hiring and long-term trends for biomedical engineering careers continue to have a positive outlook. 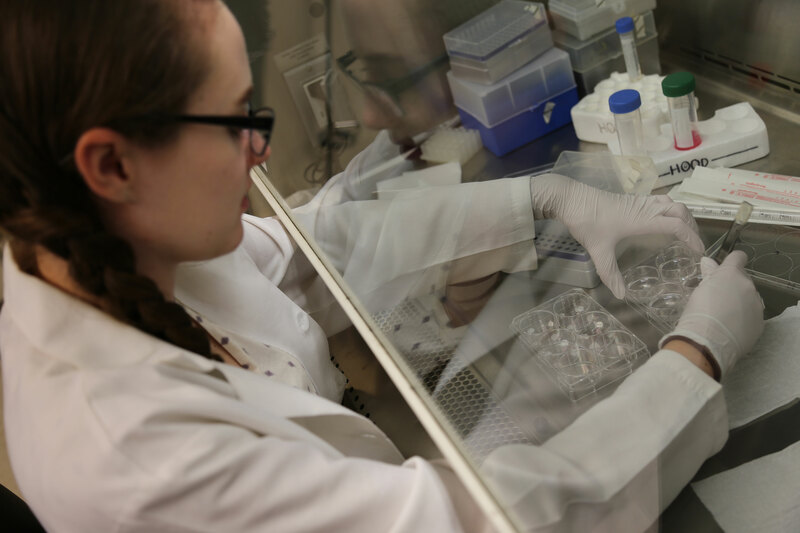 The U.S. Bureau of Labor Statistics predicts that the biomedical engineering field will grow about 23% between 2014 and 2024, a more rapid growth than usual. A majority of all biomedical engineers are employed by manufacturing industries, primarily in the medical instruments and supplies industries. Many pursue further professional training in medicine, dentistry, veterinary, law, and business, or further their education in graduate school. Biomedical engineers find jobs in health services, government agencies, or as independent consultants. Newer areas of biomedical engineering are experiencing rapid growth, such as computer-assisted surgery and cellular/tissue engineering. In addition, the rehabilitation and orthopedic engineering specialties are growing, increasing the need for more biomedical engineers. Biomedical engineering research at Ohio State covers a wide array of technological and medical applications. Today, 32 scientists serve as core faculty of the Department of Biomedical Engineering, and more than 80 researchers throughout the university collaborate to provide extensive resources. Their research and teaching covers tissue engineering, micro- and nanotechnology (biomaterials), and imaging on a cellular and molecular scale.